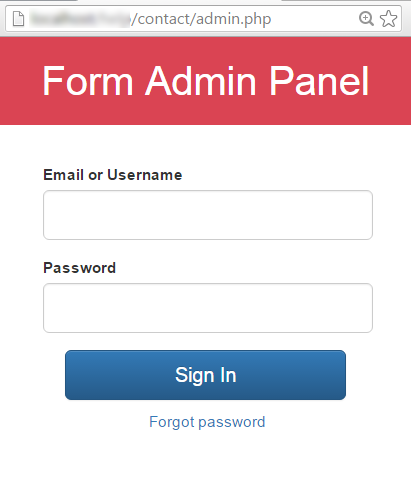 How to access JQuery Form Admin Panel? 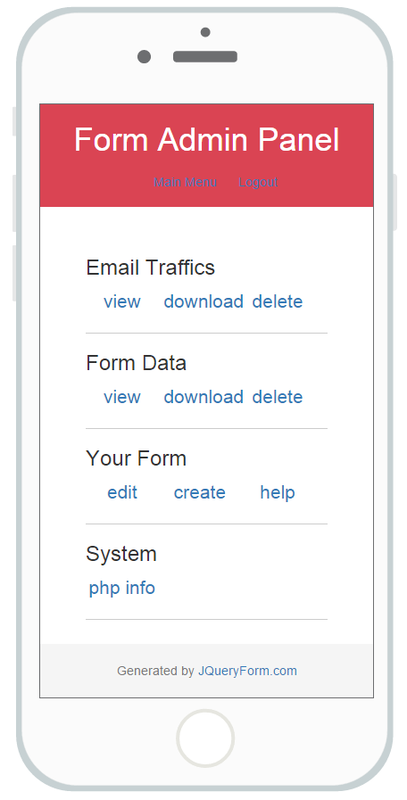 JQuery Form comes with a Form Admin Panel. Each form has following files, the admin.php is the Form Admin Panel. From Admin Panel, you can view form data, view debug message of connecting SMTP email server, email traffic log, and edit form. If you forgot Admin Panel password, click here to see how to get the password.